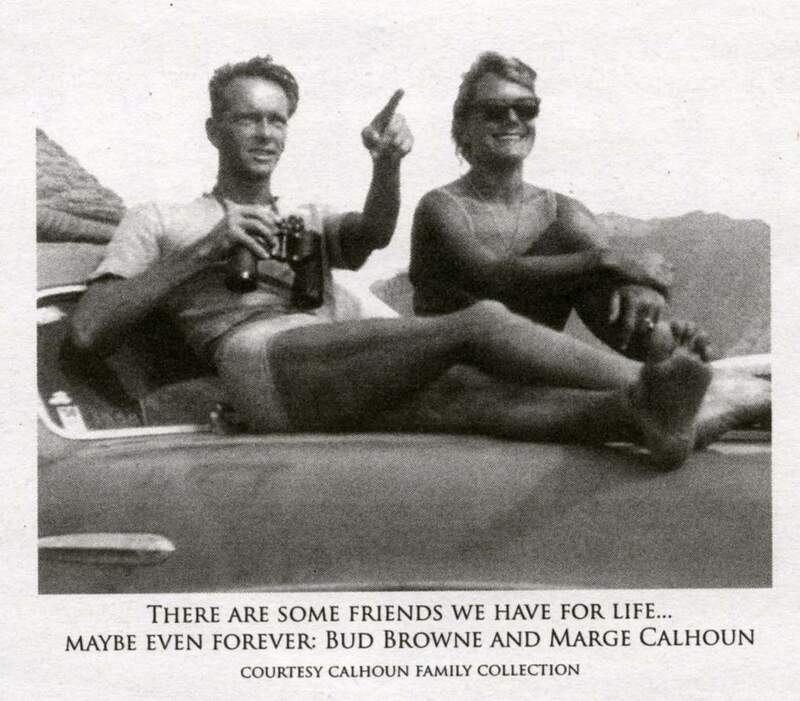 Marge Booth Calhoun was born in Hollywood in 1924 and raised in the pristine California that only her generation knew. 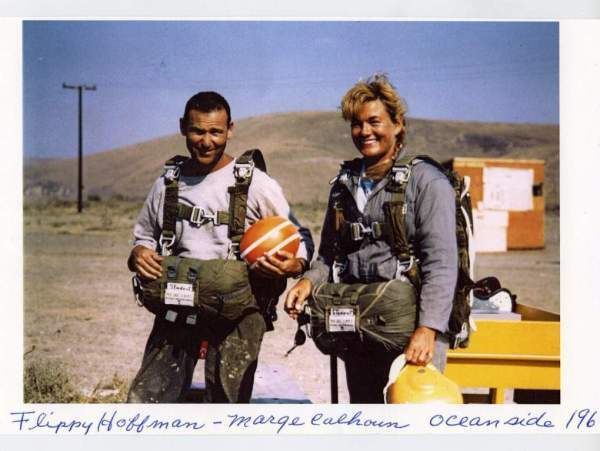 Open spaces, clean, clear air, wide beaches -all invited daredevil exploration, and Marge sampled it all. 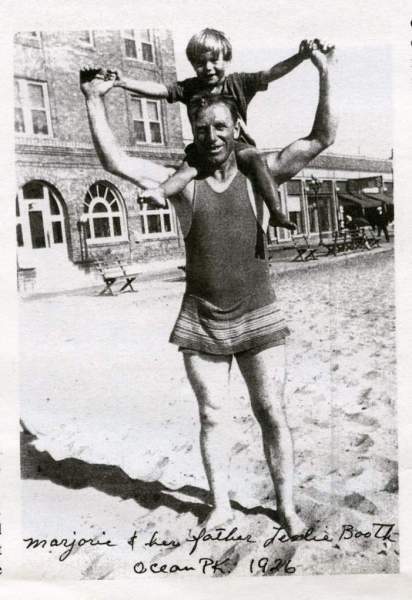 Her dad would take her to Venice Beach and put her through basic calisthenics to make her strong and supple. 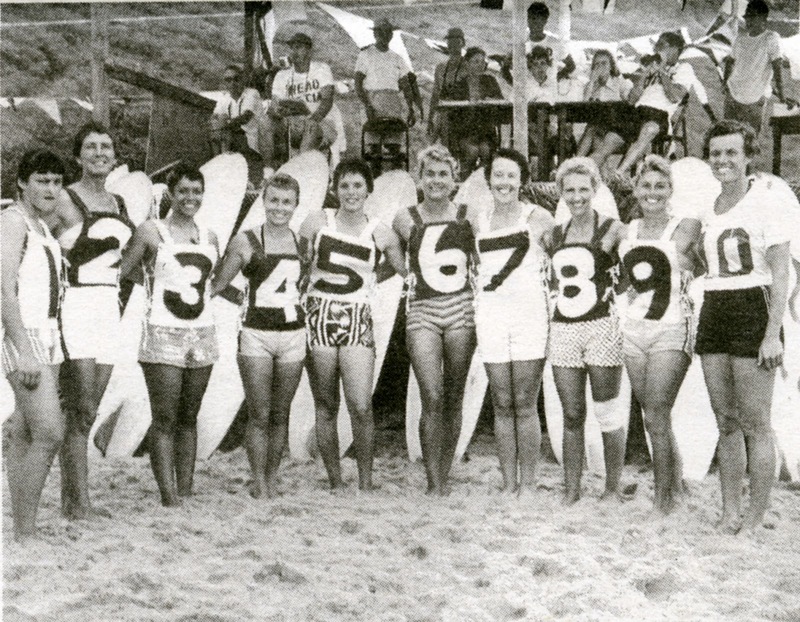 In the mid-1950s husband Tom surprised her with a Joe Quigg balsa board, and she took it out to the colony at Malibu to try her luck. 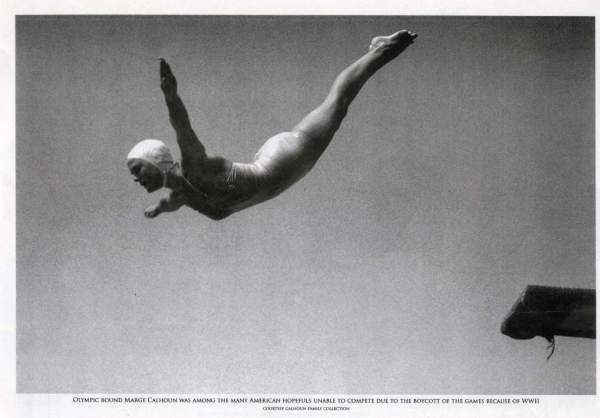 There she ran into Malibu regular Darrylin Zanuck (daughter of movie mogul Darryl Zanuck), who became her friend and mentor. She also got some solid pointers in 10-foot surf from the fearless Buzzy Trent. Marge was hooked from the first wave she caught. 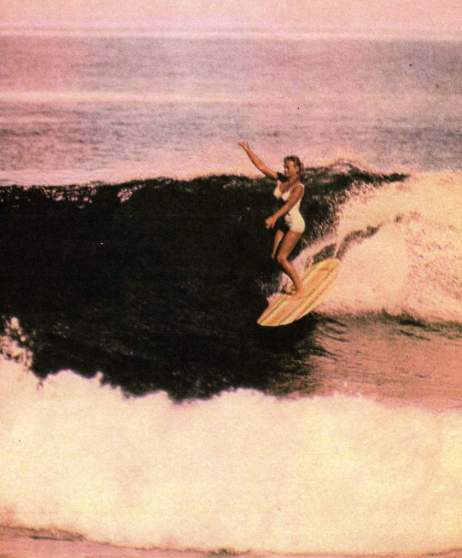 “I cherished that first board and surfed it until it was too beat up to take out in the water,” Marge recalled. 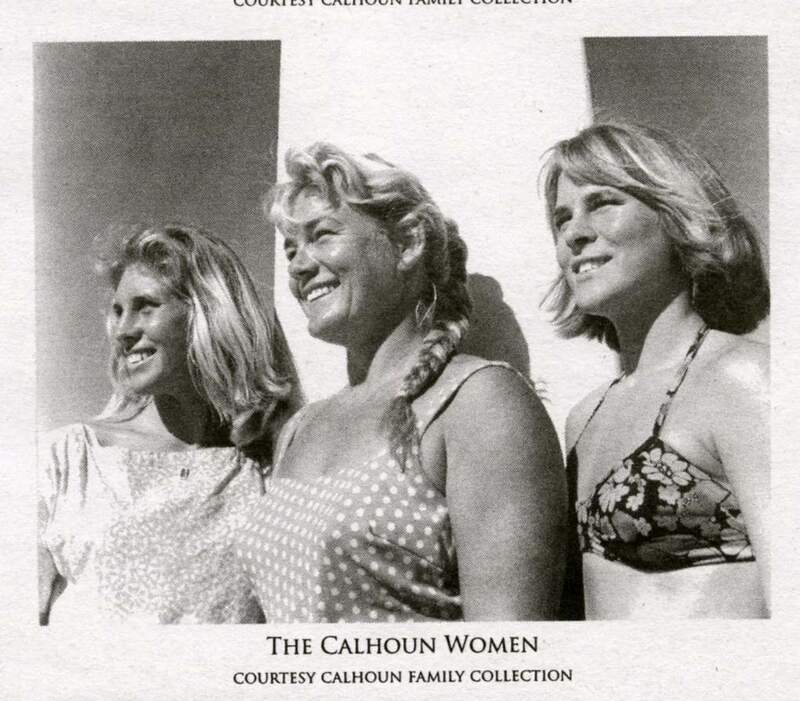 “I was a big, strong woman and happened to enjoy big surf.” She and Eve Fletcher took a month’s surf safari to Oahu in 1958, where Marge ended up winning the Makaha Invitational. 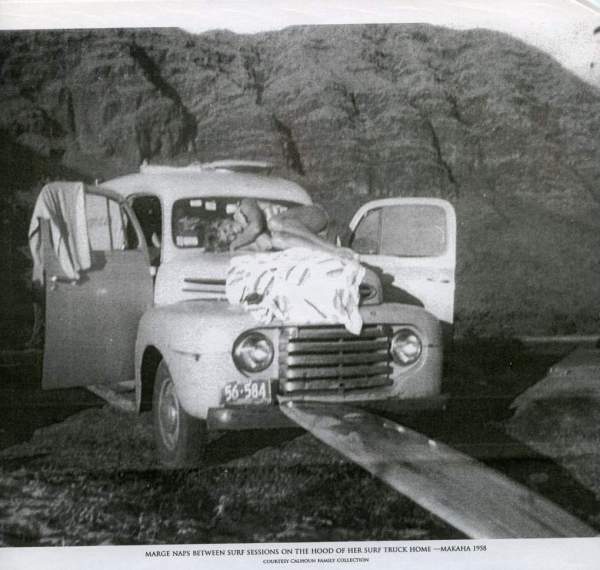 “Kit Horn had phoned me [in the late 1960s-early 70s] and told me that he and Les Williams had heard a rumor about massive surf conditions, and they were heading north, where the swells would be biggest. They said they had targeted a little town in the middle of nowhere, called ‘Surf,’ and it was on or just outside Vandenberg Air Force Base. He told me to take this dirt road that ended at a tiny railroad station, but that’s all the directions I had. By the time Candy and I drove up there, it was quite late. It was dark but we were able to make out their car, so we just parked nearby and went to sleep. Sometime later we were shocked awake by a horrendously loud noise, the ground shook, and we thought I had parked on the railroad tracks and we were about to be smashed by a train. Boy, did we jump to get out of that car! What we didn’t know was that Vandenberg had launched a missile in the middle of the night, the sky lit up and we all watched the vapor trail in amazement. Better than being killed by the train.